We are a veteran service organization dedicated to providing our returning veterans with a place where they can feel at home, where they can find help with whatever challenges they encounter while reintegrating into civilian life. We are prepared to assist with medical, educational, psychological concerns, and employment referrals. In addition, we are committed to helping veterans with other needs or requests they may have. If we don’t have the answer to your inquires we will do our very best to find someone who does. Our Mission: To provide our veterans and active duty personnel in Southern Maryland with a place of their own where they can feel free to drop in when searching for answers for their needs. The core of our organization are our trained Battle Buddies. All with military experience, Battle Buddies serve as mentors and guides to veterans while also making referrals to needed services. Other volunteers come from a variety of backgrounds including, but not limited to, social work, yoga, medicine, accounting, banking and law. We call these volunteers Subject Matter Experts (SMEs). SMEs offer their services, within the scope of their professions, at no charge to our veterans and their families. Trained volunteer Battle Buddies, are paired with returning veterans, according to each veteran’s need and experience. 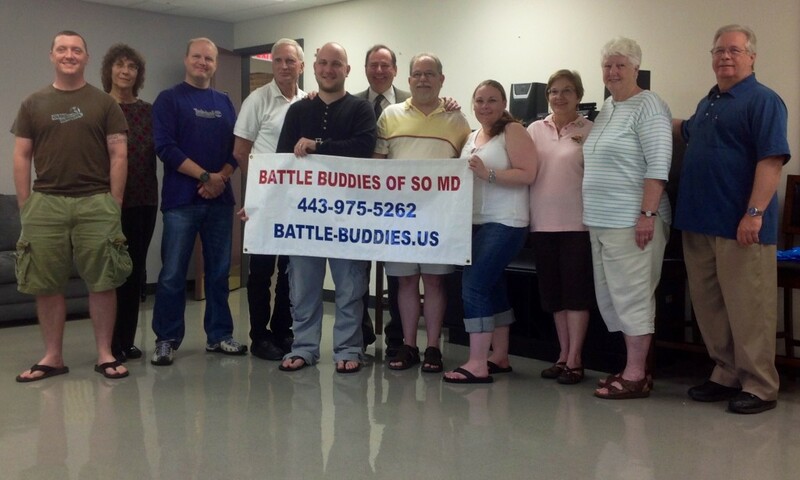 The Battle Buddies’ mission is to help our returning veterans transition successfully to the civilian world. © 2015 Battle-Buddies.us All rights reserved.